The beachy town of Venice, California is best known for its stretch of boardwalk crammed with tourists, bodybuilders, skaters, musicians, and endless vendors hawking their wares. Venice Beach is the place you take visitors from out of town to see the wacky side of Los Angeles, but what keeps bringing me back is the buffet of backyard gardens that line the walkways of the semi-hidden Venice Canals. Real estate developer Abbot Kinney created “Venice of California” as a campy residential beachside copy of the iconic Italian city. Instead of streets, he installed a system of wide canals culminating in a large saltwater lagoon. The idea was just crazy enough that it was a splashy success, drawing homeowners and tourists alike. Eventually, the rise of car culture rendered the canals an impediment to the town’s accessibility, and they were unceremoniously filled in. Today all of the original canals are busy streets in an ultra-hip neighborhood, and the lagoon is the site of a large traffic circle. But thankfully, a smaller waterway of canals inspired by the original still exist today. Hidden just behind some of the busiest sections of Venice, an intersecting network of canals runs between rows of houses with numerous arched pedestrian bridges and walkways throughout. Walking past each little yard, one after another with its own unique landscaping presentation, begins to feel like displays at a garden show, and they are all vying to win the first prize blue ribbon. 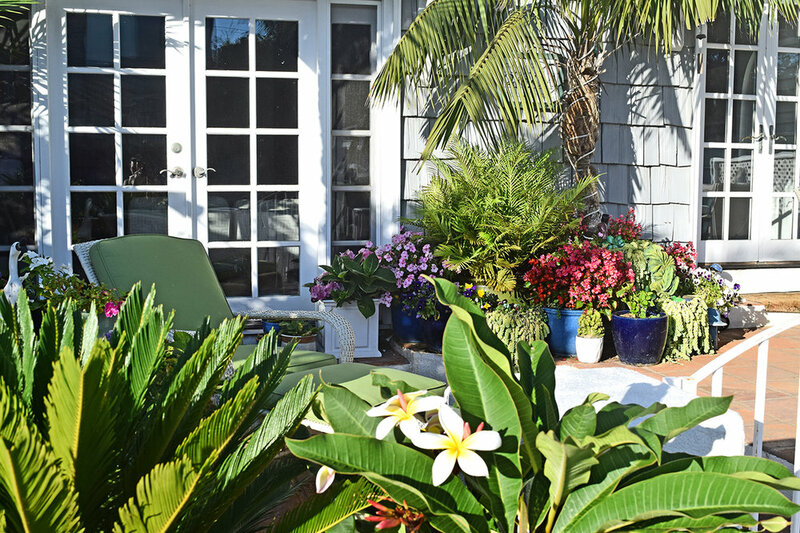 Some of the highlights for me are the fragrant hedges of star jasmine, weathered patios crammed with potted succulents and small citrus trees, and always encountering some kind of plant I had never seen before in some quirky garden arrangement. 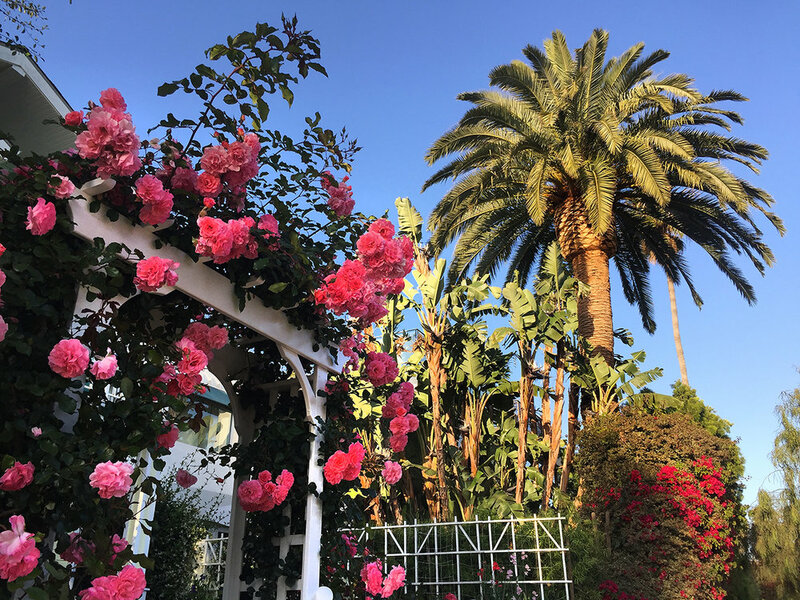 While Venice Canal Historic District has lately been one of my favorite places to take out of town visitors (after showing them the boardwalk of course), I plan to go back by myself to spend unhurried hours walking around and gawking at the garden splendor. 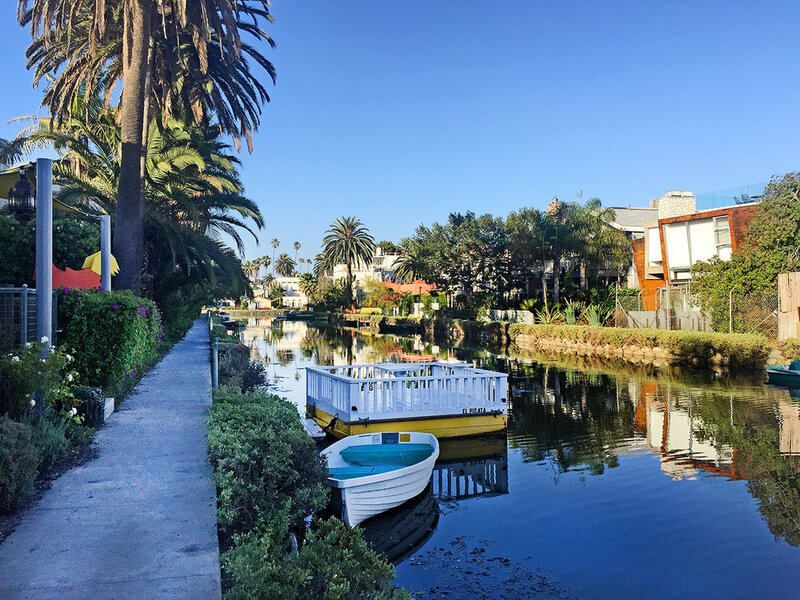 Visit the Venice Canals here!